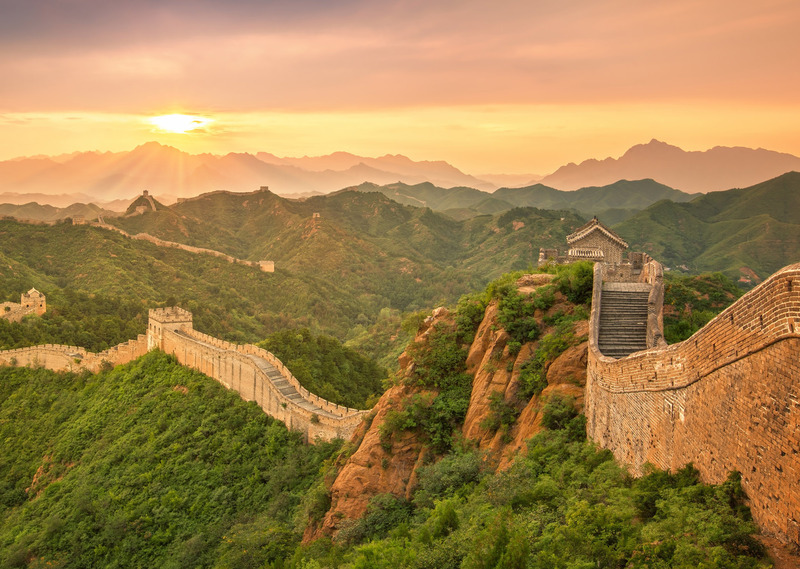 The Great Wall of China is regarded as the longest running construction project of all time. The wall took more than 2000 years and millions of workers to complete. At the time, labourers used only simple machinery to build the wall — a vast difference from the equipment used in construction today. Automation has already been used by a number of construction companies to make the building process more efficient. Though house building is an extremely complex and time consuming activity, Swiss prototype robot bricklayer, In-situ Fabricator, can build a house in just two days. In-situ Fabricator isn't the only example of developments in rapid house building — Chinese 3D printing pioneer, WinSun, claims to be able to print ten houses in just one day using its innovative technology. These developments, however, are yet to become mainstream. The construction industry has begun the adoption of automation and robotics, with numerous projects underway to encourage use of the technology. Part of the challenge in adopting robotics comes from the unstructured and often unpredictable nature of construction sites, in contrast to more structured manufacturing production lines. Despite the challenges, recent years have seen the introduction of automation and semi-automation, such as the retrofitting of autonomous solutions into existing forklifts and diggers. This can increase the productivity and safety of the work environment. As well as improving worker safety, increasing levels of automation could help overcome the shortage of skilled construction workers. Collaborative robotics could see construction workers operating alongside robots in both factories and on the construction site to increase productivity and modernise construction. The increased use of modern methods of construction has led to the potential to manufacture off-site. Housing units or modules can now be manufactured in a controlled factory environment away from the construction site. The modules can then be transported to the site for final assembly. Off-site manufacturing can entail volumetric 3D units that are produced and fully fitted away from the construction site. Once they arrive, the modules are then stacked onto the building foundations to begin the building process. In the United Kingdom, off-site manufacturing has received support from international engineering enterprise Laing O’Rourke, who is currently in the planning stage of an advanced manufacturing facility that will be used in commercial projects. Construction and manufacturing group, CCG has also created a manufacturing facility in Scotland that has the capability to manufacture 3,000 buildings per year. The nature of the construction environment is more suited to mobile robots, able to adapt to a changing environment. This technology has been introduced by a US start-up, Skycatch, who has used drones to give a bird’s eye view of the ever-changing construction site and has given robotic bulldozers the technology needed to navigate. Self-driving bricklayers or plasterers could be the next major development to be introduced widely. The rate and direction of modern paving uses equipment that is regulated by a control system. Semi-autonomous road pavers and asphalt pavers are already in use. However, the process is still labour intensive, as the robot can only perform a single function. A fully autonomous robot would improve on this process, as Ohio University has shown with its reduced scale prototype of RoboPaver, which would allow real-time control of the automated paving process. There are clear advantages to incorporating automation technologies into construction, including uniform product quality, accuracy, speed and safety. Research is focusing both on the automation in existing machinery and on the development of new technology and robots for on-site and factory-based automation. Drones, robotic bulldozers and 3D printers may well fit onto the construction site of the future. This could lead to the automation of complex construction tasks, although perhaps not on the scale of the Great Wall of China. Jonathan Wilkins is marketing director of obsolete industrial parts supplier EU Automation.